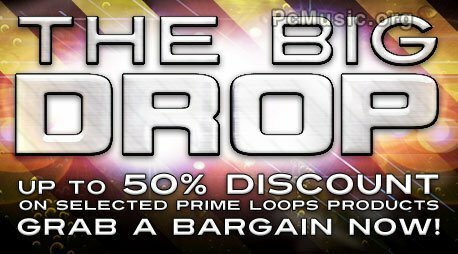 Prime Loops are happy to announce 'The Big Drop' sale – offering up to 50% off of selected Prime Loops products. 'The Big Drop' lasts until the 31st of July and offers discounts of 10% to up to 50% off sample packs, construction kits, combo deals and more with all products available as an instant download. Prime Loops offers a wide range of samples, loops, construction kits, sound effects, VST presets, vocal samples, video tutorials and more. All loops and samples are multi-format and completely royalty free and designed to provide instant inspiration for music productions, soundtracks, game themes, sync projects and others and for a short time only, users can buy these for up to 50% as part of Prime Loops 'The Big Drop' sale.